Maybe you have been thinking about purchasing a boat for a while now. You could be trying to replace your current boat or buy a boat for the first time. Given the state of the economy, you may be having a difficult time with deciding on whether you can afford the boat that you have been imagining. New boats can be very expensive, especially if you purchase them during the current model year. 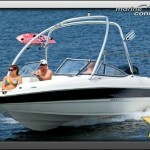 You may not have considered how much more affordable and practical it would be to purchase a boat that has been used. Used doesn’t meant worn down, it just means that someone else has had an opportunity to enjoy the boat, but for some reason or another has decided that ownership of that boat isn’t right for them. When you are looking for a used boat to purchase, you need to do your research. There are many dealers and owners that want to sell you a used boat without disclosing all the details regarding the condition of the boat. A boat is something that has to be cared for in a diligent and meticulous manner. If you purchase a boat without knowing all the facts, this could become a problem or hazard for you in the future. 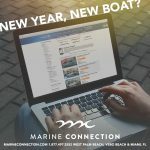 When you purchase a used boat form Marine Connection, you know exactly what you are getting. Their inventory features all the details that you would likely be interested in knowing before you purchase a used boat. 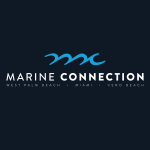 Marine Connection provides several images and a video of each boat. Potential buyers are also provided with the features, condition, specifications, options and serial numbers of every boat in the inventory. The title status is also disclosed online. Marine Connection has a large variety of used boats that are available for sale. There are many boats that are from recent model years that are in excellent condition. Makes include Bayliner, Four Winns, Formula, Mako, Pioneer, Stingray, Tahoe and Trophy. There is something for everyone. If you want a boat for fishing, diving, or just cruising around on the bay, there is a used boat that is available for that. No matter what your budget and your lifestyle, there are quality, affordable boats at Marine Connection. For the past several years, Marine Connection has been providing pro and novice boaters with used boats that fit their lifestyles. 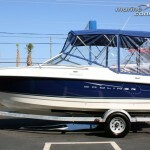 You can look for used boats online if you are not in the South Florida area. Many buyers come from all over the United States and in other countries around the world. You may be approved for financing and you can also trade in your old boat. Trading in your car, motorcycle or other vehicle, is perfectly acceptable as well. 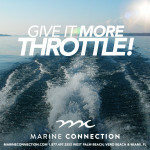 For more information on their wide selection of used boats, visit www.marineconnection.com today. Trade in your used boat and get a NEW BOAT TODAY!